CONGRATULATIONS to our Newest $1000 Winner! 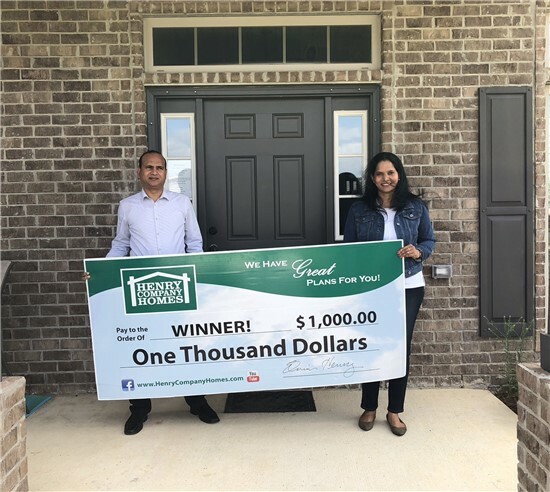 Pace, FL – 1st Qtr 2018 – In March, Henry Company Homes presented a check for $1,000 to The Pilla Family! The Pilla Family was selected in a blind-drawing from other registrants who visited our model homes. 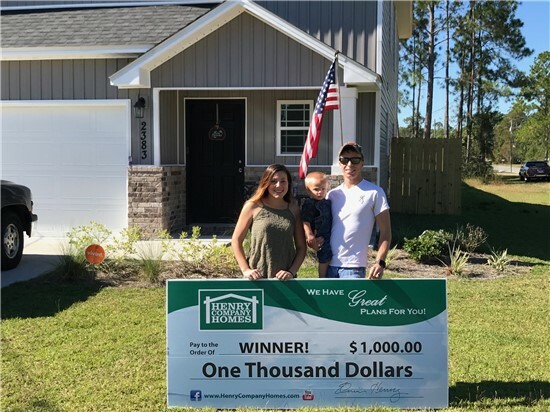 Navarre, FL – 3rd Qtr 2017 – In November, Henry Company Homes presented a check for $1,000 to The Henry Family! 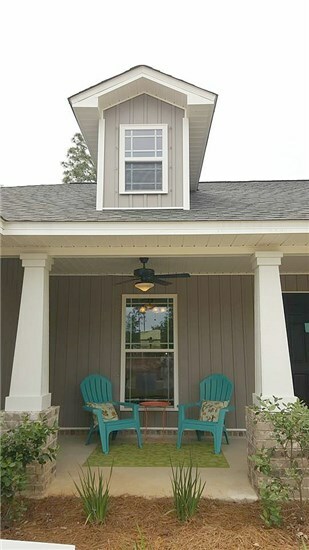 The Henry Family was selected in a blind-drawing from other registrants who visited our model homes. 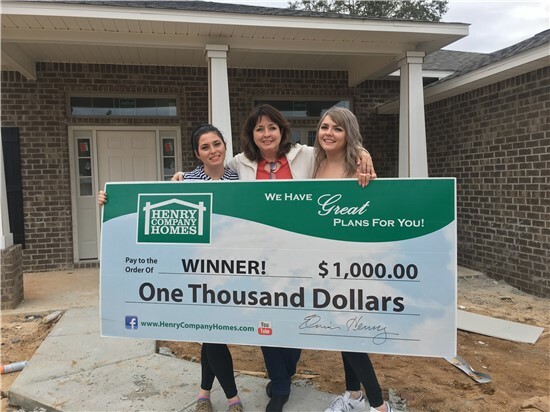 Pace, FL – 2nd Qtr 2017 – Henry Company Homes presented a check for $1,000 to Ms. Nawrot. 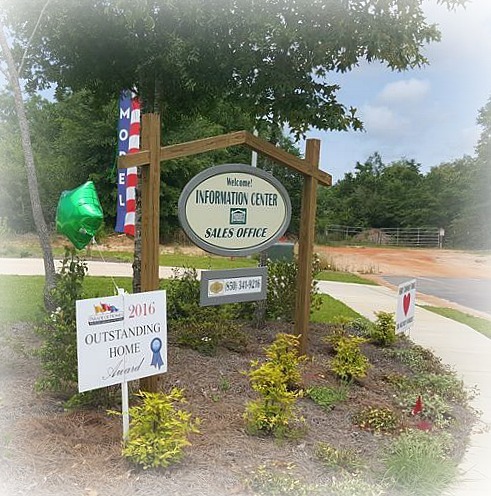 Ms. Nawrot was selected in a blind-drawing from other registrants who visited our model homes. 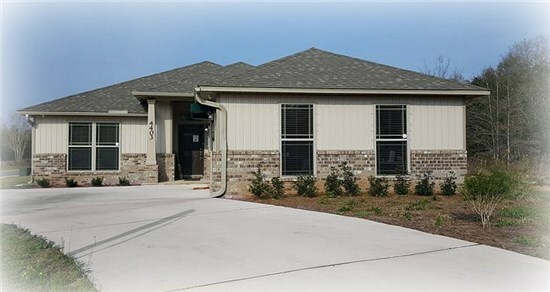 AWARD WINNING BUILDER, Henry Company Homes has been honored with over 53 Parade of Homes awards throughout NW Florida. 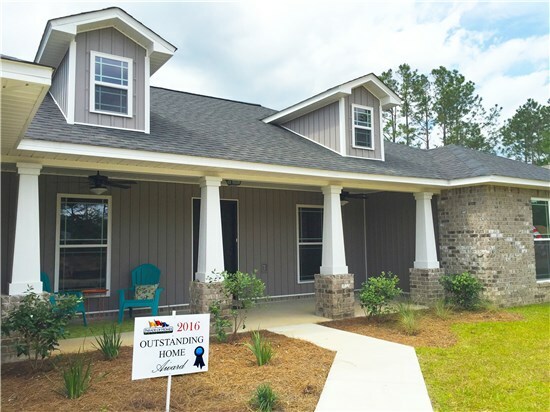 This year Henry Company Homes was honored in receiving 2 “Outstanding Homes” Awards in Pace, FL from the NW Florida Builders Association during the 2016 Parade of Homes. 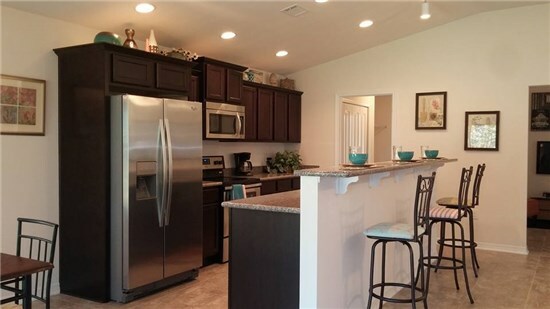 Showcasing The Award Winning Montego - 1735 S.F. 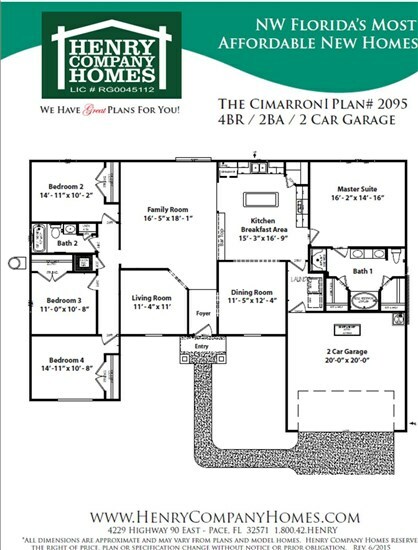 Showcasing The Award Winning Cimarron I - 2095 S.F.